Have you ever felt STUCK? Are you constantly feeling lost? If the answer is yes, then I have written this book for you. In this lighthearted and action-oriented book, C. Rod explains how you can find your passion and make a living doing what you love. ***Practical Exercises to Stop feeling STUCK and find their Passion. ***Productivity Hacks to manage their time and have at least twice as much free time. ***To stay motivated when difficult times come. ***Create lasting healthy habits to achieve their goals. ***Generate more income doing what they Love. Don´t be the kind of person that is always complaining about live but never take the first step to changing it. Take action now, Join “The Magic of Getting Unstuck” and start enjoying a successful life. 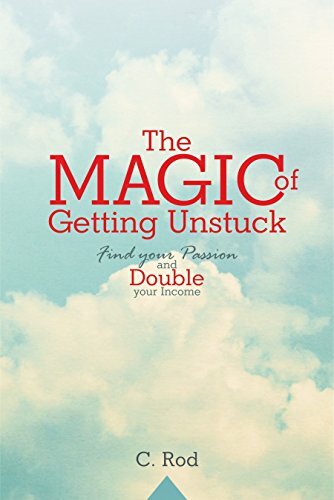 This is the Kindle version of The Magic of Getting Unstuck: Find your Passion and Double your Income that you can also download and read on your computer and mobile phone. Kindle books are DRM protected and therefore, unlike ebooks that are in PDF or ePUB format, you cannot read this ebook without the official Kindle apps.